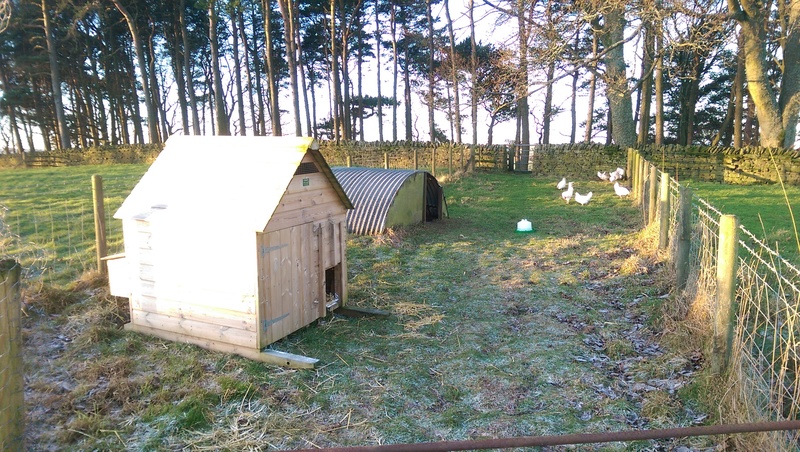 They’ve enjoyed this elderly but very desirable residence for some time and have had plenty of room lately as there are only the 10 hens and 1 cockerel in this group. Sadly the original “daddy” cockerel was found one morning over the Christmas break having died and fallen off his perch. During the day they didn’t notice the housing change and as usual wandered off around the fields or occasionally in the garden too. 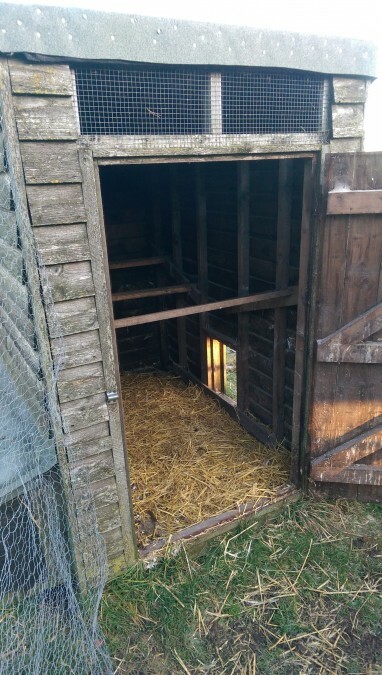 However late afternoon required almost 20 minutes of chicken-herding, cajoling and arm waving to get the stragglers to finally realise that I was not going to open up the old house again. In time I’m sure they’ll sort out their places in the new house but for the moment I could hear plenty of “discussions” from inside as they all settled down for the night!